Question: I need to uninstall the app. How do I do that? 1. On your Shopify admin, click Apps. 2. Click the trash can icon beside the app. 3. 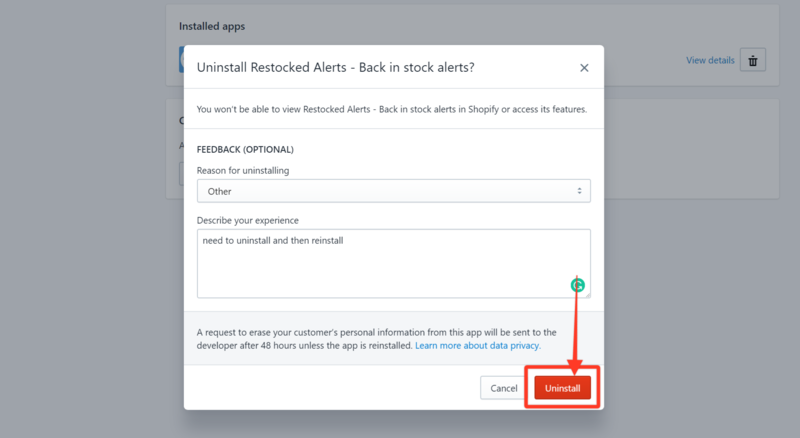 In the pop-up window, you can give some feedback if you opt to do so, by clicking the drop-down arrow and choosing the reason why you wish to uninstall the app. How much does Restocked Alerts cost?